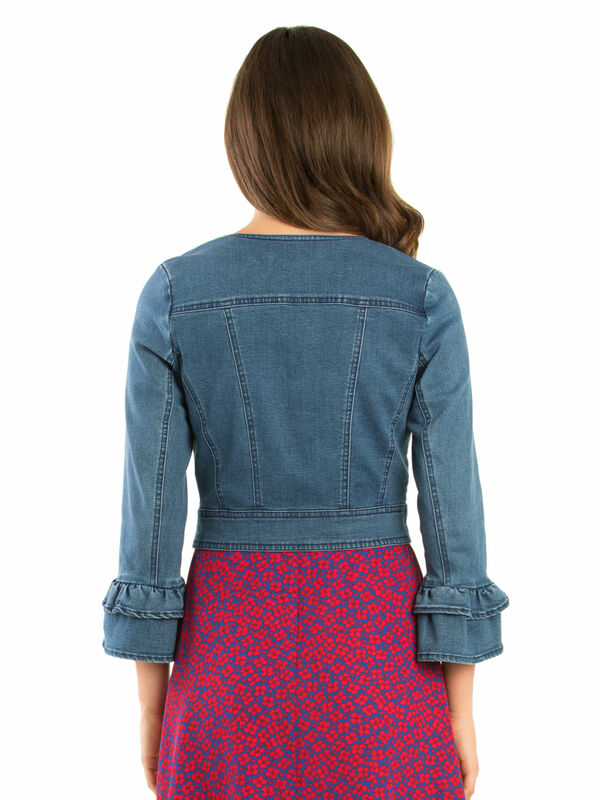 Carmello Denim Jacket https://www.review-australia.com/asia/carmello-denim-jacket-blue/RE19JK020.REBLU126.html A contemporary twist on a classic design, this Cermello Denim Jacket is slightly cropped and features a polka dot lining. The addition of the flared cuff detail and rounded neckline makes sure this is your go-to choice for warm summer evenings. Layer over a colourful dress for an effortlessly chic look. Worn with Lucky Lucy Dress. A contemporary twist on a classic design, this Cermello Denim Jacket is slightly cropped and features a polka dot lining. The addition of the flared cuff detail and rounded neckline makes sure this is your go-to choice for warm summer evenings. Layer over a colourful dress for an effortlessly chic look.